The redesigned vertical bevel gear shaft for Airbus Helicopters’ EC225 has been certified, enabling its production and installation on all rotorcraft of this type in operation globally, as well as those being produced. Certification was granted by the European Aviation Safety Agency (EASA) and is to be followed by validation from other international airworthiness authorities. Manufacturing of the redesigned gear shaft is underway, allowing worldwide implementation on concerned aircraft in service and in production, starting in the second semester of 2014. 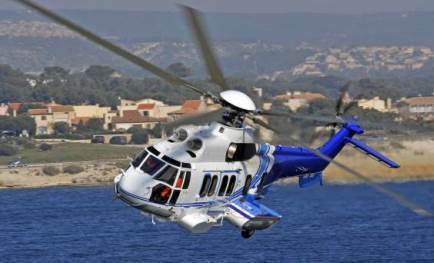 “Airbus Helicopters has put a very high priority on developing this new shaft for the EC225. EASA’s certification is a major milestone towards getting our customers flying with the final solution,” said Jean-Brice Dumont, Airbus Helicopters’ Executive Vice President – Engineering. The new design eliminates all three factors that, in combination, had caused two unexpected vertical shaft ruptures. It provides corrosion resistance, compensates for residual stress and eliminates stress hot spots. Following two EC225 controlled ditchings in the North Sea in 2012 and the suspension of part of the aircraft’s fleet, precautionary and preventive measures were immediately developed by Airbus Helicopters and successfully implemented by operators, leading to a full return to service. As the latest evolution of Airbus Helicopters’ Super Puma family, more than 200 EC225/725s have been delivered to 35 operators, accumulating more than 350,000 flight hours. Tailored for the most demanding operators, the workhorse EC225 is an 11-ton helicopter integrating all of the latest technological innovations.